When asked about the keys of success of a certain company, most people will use efficient leadership as one of these conditions. However, when it comes to the question of what is this leadership, this is where opinions of people start to diverge from one another. 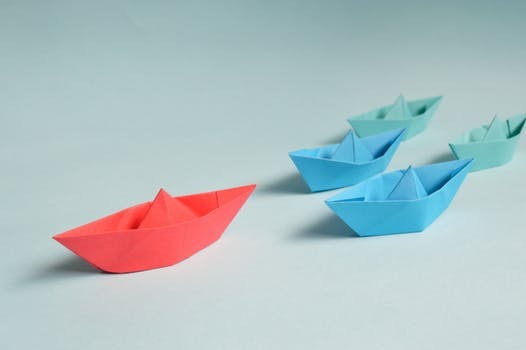 Popular quotes like “A good leader takes a little more than his share of the blame, a little less than his share of the credit” or “A leader is one who knows the way, goes the way, and shows the way” are close to giving an accurate description. Nonetheless, they don’t really go into the specifics of “how”, seeing as how they’re mostly obsessed with “what”. Things are even more complex in the virtual workplace, where a team or a business is run by a leader they never met in person. With that in mind, the topic of leadership in the virtual workplace might be of key significance for the success of many online businesses. The first trait of a great leader is curiosity, which is not to be mistaken with nosiness. On the one hand, you need to be interested in absolutely everything that takes place in your business, yet, you need to avoid meddling too much in the day-to-day tasks of your staff. One subtle way to achieve this is to start using employee monitoring software so that you can check their productivity without having to ask directly or push them to work harder in a menacing way. This alone can make a huge difference. An average person changes up to 12 jobs in their lifetime, yet, you need to understand that none of them is really satisfied with the fact. Every time a person gets employment, they hope the this will be that one post that will help them grow, advance and satisfy all of their professional needs. One of the ways to show your staff that you indeed are the one is to demonstrate an ability to think outside of the box. For instance, an NSW startup can easily differentiate from other online businesses by finding a serviced office in Sydney, emulating a traditional workplace. It’s these little things that will set you apart from your competitors and make your employees trust you more. Another way to keep people want to stay in your employ is to have a vision and aspirations for your company. It goes without saying that you need to share this vision with your staff but before this takes place, you need to make one important consideration – how ambitious it is. By making this vision too ambitious, you’ll make your staff believe that you’re either not serious or insane. By making it too modest, you’ll also limit their potential growth. To turn this to your favor, make sure to walk the thin line between the two. Keep in mind that not all has changed in the digital environment and honoring your word still makes all the difference in the world. In fact, it’s even more so, due to the fact that there are usually no verbal agreements that are kept off records. Even if you try to delete a part of the IM chat with an employee or partner, they might still have the screenshot of the conversation. Therefore, weigh your words carefully before you commit to anything and try to avoid making promises that you can’t keep. The best thing about these tips is the fact that, for the most part, they’re applicable outside of the virtual world, as well. In fact, even the employee-monitoring software that we’ve discussed is a method that’s commonly used in traditional offices all over the globe for better insight into employee productivity. Now that you know what you have to do, there’s no excuse for you not to become a better digital leader effective immediately.